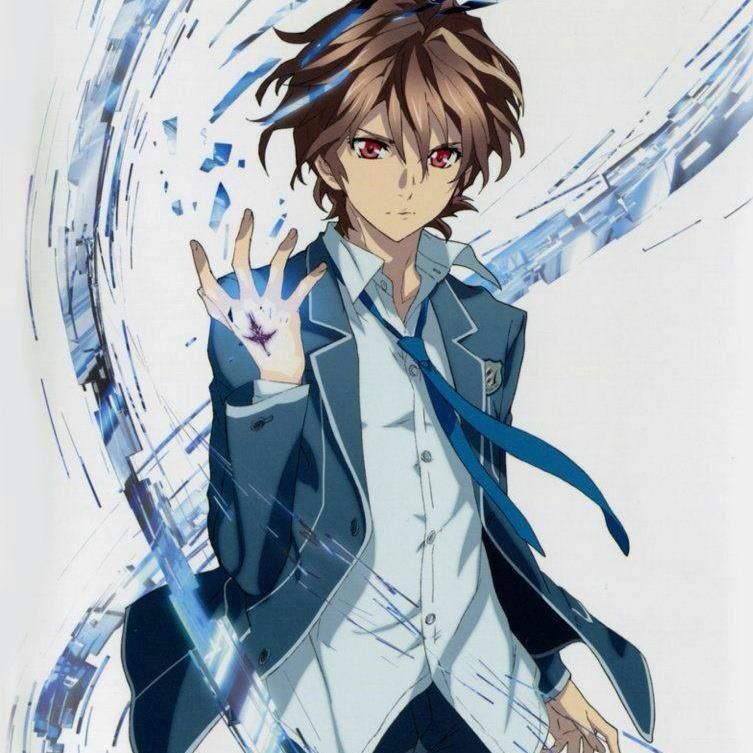 Appearance: Kitanai is an averaged height, slim, teenager with wavy light brown hair and crimson eyes. He is mostly seen in his school uniform which has two alternate colors: blue jacket and pants with silver lining and a blue tie or black jacket and pants with silver lining and a darker blue tie; or he sometimes seen without the tie. Both uniforms are worn with a long sleeve button up white shirt. When Kitanai isn't in his school uniform, he is mostly seen with a jacket, T-shirt, and one of various scarves. Space Paranoids/The Grid: Kitanai is seen in a standard grid suit with cyan colored lights. Halloween Town: Kitanai appears undead with greyish skin and hair, stitches going across the right side of his face, and sharper teeth. His clothes remain the same though. When he is wearing his tie, it is ripped at the end. When he is wearing his scarf, it is shredded at the ends and present with holes towards the end. Christmas Town: Kitanai is seen in a thick yellow jacket with fur and a buckle strap around the neck. It has three hooks on one side of the jacket with three corresponding rings on the other side to close the jacket. Atlantica: Kitanai appears shirtless with a mermaid fin that is the same color as his eyes. If he is wearing a scarf before entering the world, he retains his scarf. Pride Lands: Kitanai appears as a goldish brown teenage lion with his same hair and eyes. Personality: Kitanai is a very strong willed individual that follows his ambitions and isn't easily intimidated by the most threatening of foes. He is a very caring person when it comes to his friends always willing to protect them and comfort them in times of need. With both of these factors being true, he is always serious and really has no sense of humor. Any amusement a person would normally have is blocked by Kitanai's focus on his ambitions and the importance he sees keeping the ones close to him safe. This serious demeanor reflects in battle as he rarely shows mercy to his opponents. However this seriousness is opened up as a soft spot once Kitanai builds a strong bond with someone. History: Kitanai is a scholar that helps conduct research at the castle in Radiant Garden. Before his journey, a "pseudo" keyblade was implanted inside his body. Its just a matter of when he'll be able to summon it. Expand on the personality a bit more, and you're good to go. Elemental tiers are no longer a part of the site. You simply choose four that you wish to align with, and you are considered to have mastered them.